Over the past few years, high performance thermoplastics have become a widely discussed topic in the 3D printing community. In a world that is constantly changing and adapting to new technologies and materials, it was only a matter of time for high performance thermoplastic polymers to stand out. Polyaryletherketone (PAEK) is a family of semi-crystalline plastics that can withstand high temperatures while maintaining tremendous strength. PAEK is primarily used in the form of polyether ether ketone (PEEK) and polyether ether ketone ketone (PEKK), two materials that have high stiffness. A much lower cost alternative though, polyetherimide (PEI), also known as ULTEM, has been getting a lot of attention as due to its lack of ketone, it costs much less. While these are not the first alternative 3D printing filaments we cover at 3Dnatives, here is what you need to know on the PAEK and PEI families. High performance thermoplastics and PEEK in particular are as strong as steel and often at 80% less weight which makes them tremendously desirable in the production industry. So why are they only now becoming such a major success in 3D printing? Truth is, such materials have been around for over three decades, though they have been utilized through injection moulding or machining. At first, Stratasys was the only company able to produce printers that could handle the high temperatures required to melt PAEK and PEI polymers. Nevertheless, as the market started opening more companies had the opportunity of experimenting with them, resulting to a mass commercialization of their inventions. As time goes by and the entry barriers are weakened, we see more and more companies entering the field and starting to produce printers capable of handling PAEK thermoplastics. PEI was first developed by General Electric’s plastics department back in the late 1980s. In 2007 though, SABIC, one of Saudi Arabia’s largest public companies acquired the department and therefore the rights to the ULTEM brand. As the material is a more affordable alternative to PEEK, it straightaway generated a lot of interest from a financial perspective. Combined with its various significant physical properties, such as high heat, solvent and flame resistance, dielectric strength and thermal conductivity, it made a great solution for several engineering projects. Maybe most noticeably, ULTEM has become the go-to material when it comes to engineering applications with very demanding applications, usually in the aerospace industry. As of today (17th Jan 2019), PAEK and PEI polymers are printed either in FDM (Fused Deposition Modelling) or SLS (Selective Laser Sintering). In an industry where over 65% of 3D printers use FDM technology though, it is only logical for the vast majority of PAEK and PEI application to be in FDM. Considering the high temperature capabilities of such polymers, it is understandable that no ordinary 3D printer can process those filaments. A PAEK/PEI 3D printer must have an extruder nozzle that can handle temperatures of over 350°C (660°F) as that is the melting point of such polymers. Moreover, the heating bed must be reaching at least 230°C (450°F) in order for the object to be taken off it. Finally, stronger cooling mechanisms are required to ensure the correct balance of temperature in the closed chamber. The post process of high performance thermoplastics is an interesting procedure. As with every complex FDM printed part, support is needed. When it comes to PAEK and PEI though, due to the stiffness of the final object, deducting the support can be challenging. As a result, a selection of tools is often used in order to finalise the production of a part. On the other hand, when it comes to SLS, the part is printed almost to perfection, without the need of extra tooling. However, producers do need to take into consideration the phenomenon of warping. After the printing of an object is finished and the temperature in the chamber drops, the polymers tend to reduce in size. As a result, PAEK and PEI have been very popular when printing small objects, though the larger the part, the higher the warping effect. Although this can be controlled to an extent by optimising key printing parameters such as speed and temperature, it remains a challenge. 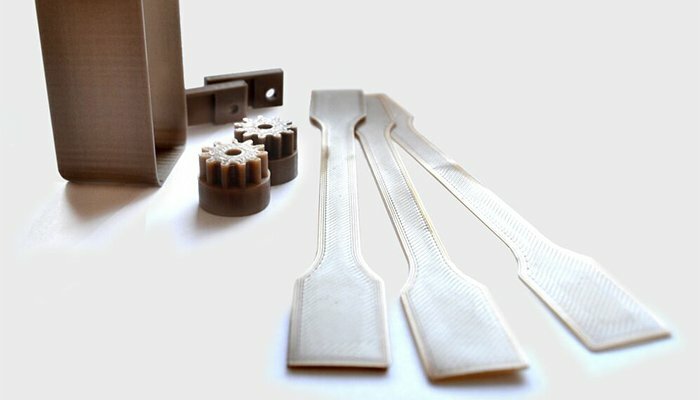 As one would expect, many of the big chemical companies have already realized the change coming in high performance thermoplastics in the additive manufacturing field. As a result, it is no surprise when names like Arkema, Lehmann & Voss and Solvay (just to mention a few) are brought up when it comes to producing PAEK materials. However, when it comes to PEI, the ULTEM brand –from SABIC- is the only available one in the market for now. In terms of printers that can support PAEK and PEI, the Chinese manufacturer, INTAMSYS, has gotten a lot of attention, as they offer a range of professional and desktop 3D printers. Nevertheless, the Dutch Tractus3D is becoming more and more popular as well as the German giant, EOS, that recently released a new HTLS (High temperature laser sintering) printer that can handle such materials. Not so long ago, 3Dnatives published an article featuring the top PEEK and ULTEM printers in the market. With exceptional mechanical and thermal resistance of up to 260°C (500°F), PAEK materials are resistive to dissolving in oils and other substances unlike most other plastics. When exposed to fire, there are almost no gas or noxious fumes released. As expected, a family of materials with such a number of significant features would be useful to a variety of industries. Automotive quickly started utilizing the unique abilities of PAEK and PEI for a variety of applications. One of the areas where PAEK and PEI have been most disruptive is the production of low cost rapid tooling for injection moulding, thermoforming, jigs and fixtures. This allows companies to produce low to medium volume of parts at low cost without needing to invest in producing large quantities. Also, the production of customised parts is demanded increasingly as they can be altered to fit certain requirements and can get complex changes that enhance their structural build. As with many other 3D printing materials, the PAEK and PEI families are widely used in the medical field. PEEK is famously used for the shielding of magnetic resonance imaging (MRI) devices. It is also considered an advanced biomaterial used for medical implants and in reinforcement rods and spinal fusion devices. The fact that it can withstand boiling water and super heated steam make it perfect for objects that need to be sterilised in extremely high temperatures. High performance thermoplastics are also widely used in the aerospace industry. Chemical resistance, high strength-to-weight ration and low fire, smoke and toxicity ratings make such polymers the ideal substitute to metal that is often used for spacecraft parts and tooling. Thermal acoustic insulations, structural brackets, clamps and stand-offs, fasteners, connectors and tubing systems are just some of the examples where the aerospace engineering scene has started utilising PAEK and PEI, often reducing the parts’ weight by 70%. Other industries disrupted by advanced thermoplastics include: marine, nuclear, oil & gas and many more. 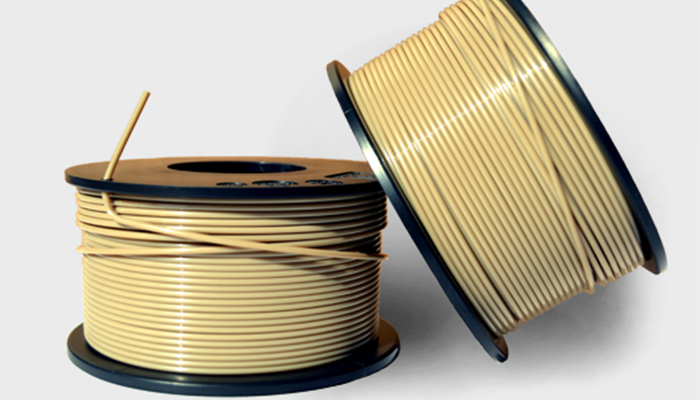 The use of high performance thermoplastics is not by any means perfected. There are still aspects of the manufacturing process that are being worked on and improved constantly. For example, as mentioned earlier, once a PAEK object has been printed, there is still a need for an often complex post process. However, new innovations are improving this experience constantly. A number of companies are currently working on a FDM solution where the object’s support will be printed in a different material so that it can be deducted quicker and easier once the printing has finished. Moreover, other organizations, like Kimya, have started focusing on offering combinations of materials in order to take advantage of the best of multiple materials. This way, the end product can be for example 70% PEEK and 30% carbon fibre. As patents keep expiring and entry barriers to producing PAEK and PEI thermoplastics and 3D printers that support them are lowering, we expect more and more companies to join the supply chain. This will of course increase competition and lower the cost of the end products, resulting to higher usage of PAEK related products in the AM industry. In general, it is becoming clear that such thermoplastics are here to stay and can compete with the on-going revolution of metal 3D printing. 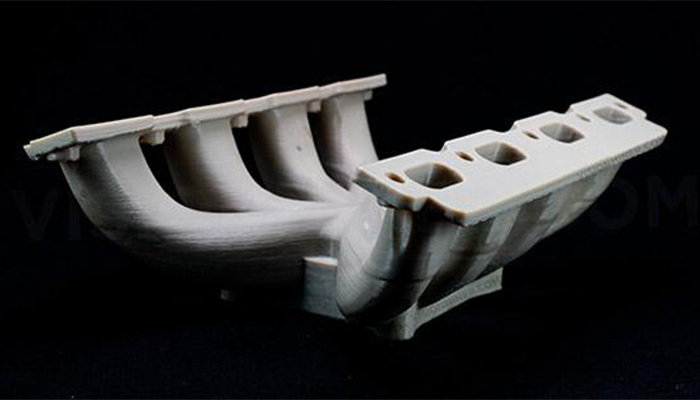 What to you think of the use of high performance thermoplastic polymers in 3D printing? Can you see other industries being disrupted in the near future? Let us know what you think about this article in a comment below or on our Facebook and Twitter pages! Don’t forget to sign up for our free weekly Newsletter, with all the latest news in 3D printing delivered straight to your inbox! 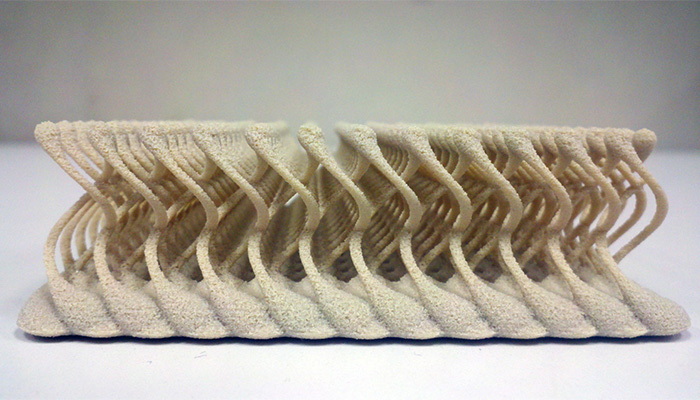 3D printing bone, a way to treat fractures?